Most parents have a vision in their mind of sitting around the dinner table with their family in the years to come. But long before you get to the stage of roasted turkey and green bean casseroles there is the matter of starting your baby on solid foods. Just like your baby will likely crawl before they walk, starting solids is a gradual transition from the liquid diet they have been on to the complex meals you dream of one-day sharing. 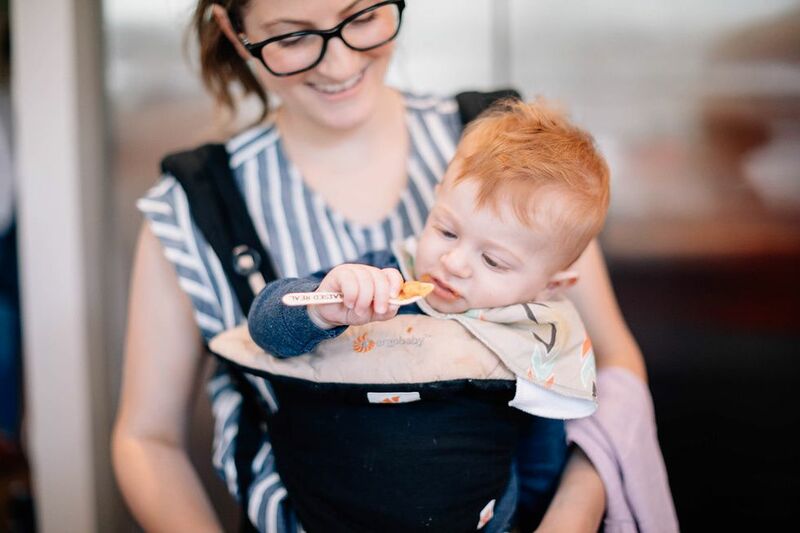 "My best tip for parents is to let baby be your guide," says Katie Ferraro, an infant feeding specialist, associate professor of nutrition at the University of California San Francisco Graduate School of Nursing and mother of seven who writes Fortified Family. 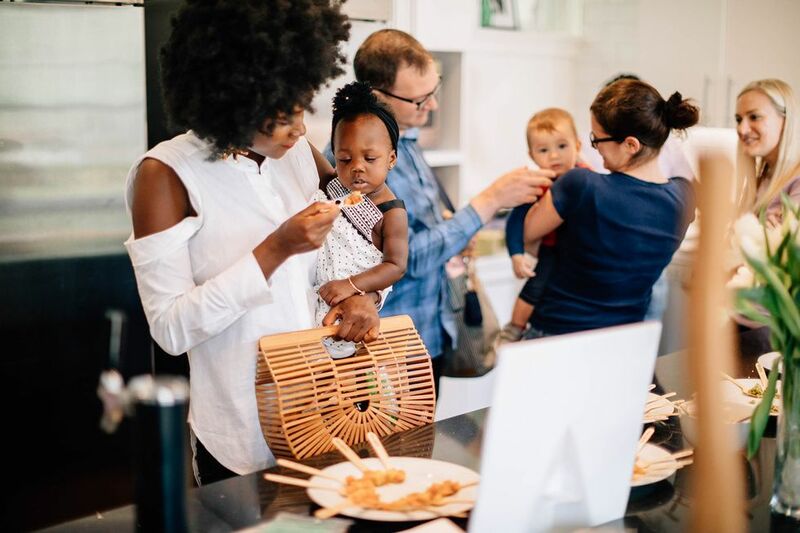 "Learn to be a responsive feeder, looking for and responding to baby's cues about hunger, fullness and willingness to try new tastes, flavors and textures." Also important? 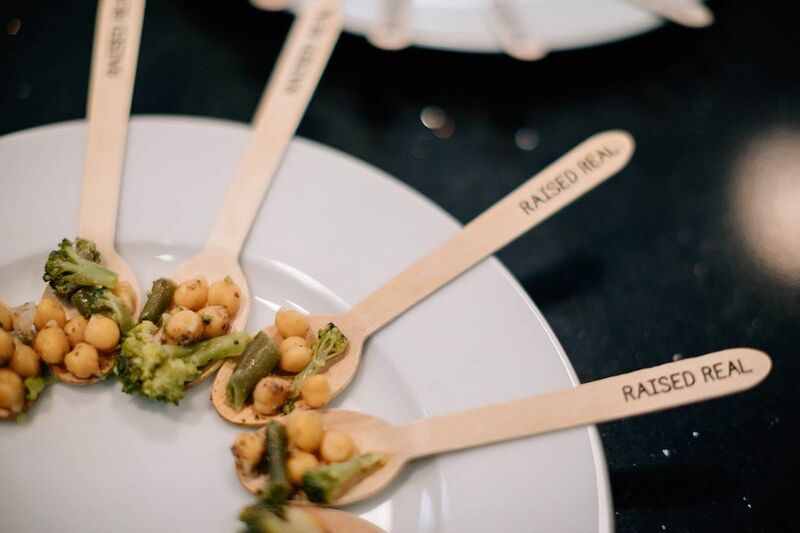 Remembering to enjoy the experience, too, which Ferraro says was easy to do with the flash-frozen, organically sourced baby meals from Raised Real. 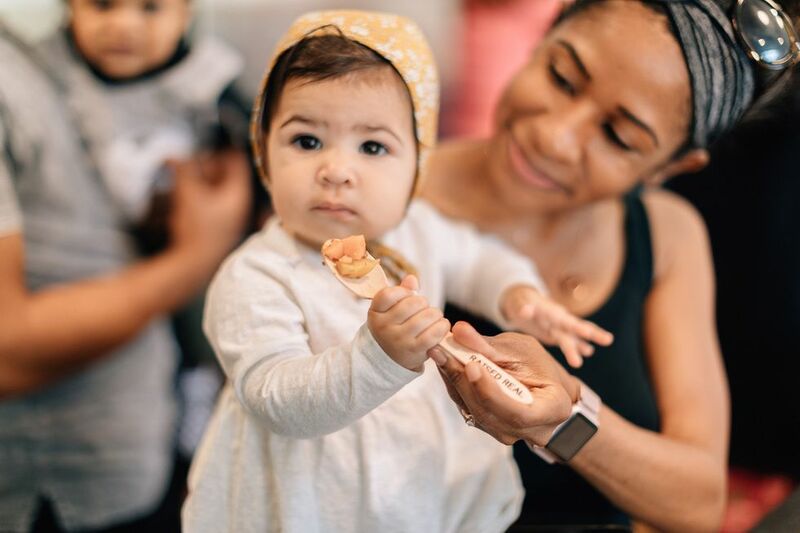 "I try all of the foods that I serve my babies, and I have to say I was pleasantly surprised by how tasty the Raised Real meals were," she says. The first challenge is knowing when to start solids, which is defined as anything other than breast milk or formula. 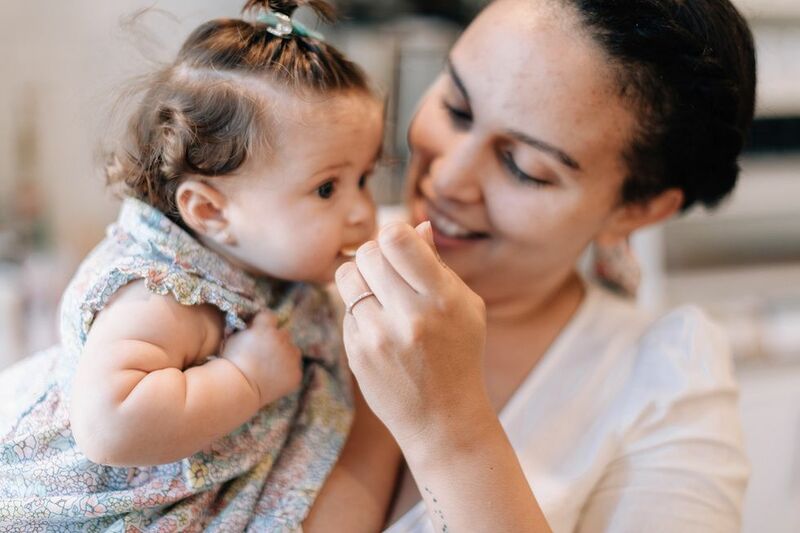 Although some pediatricians sign off on the introduction of some solids between the ages of 4 and 6 months, studies show there are risks associated with starting solids too early, such as choking, food aversions and the deprivation of nutrients found in breast milk or formula. Many experts, including Ferraro, agree it is best to wait until baby is at least 6 months. But even that isn't a hard-and-fast rule, as Ferraro explains some of her children were born early and didn't show food-readiness signs until later. Those signs include the ability to sit with minimal assistance, reduced tongue thrust reflex and an active interest in what's on your plate. "As your baby gets closer to the ready to eat mark, he or she will start showing massive interest in what you are eating," Ferraro says. "Baby starts eyeballing you big time and may mimic chewing movements and reach and grab for your food." If you opt to start with purees, keep in mind that your baby has been used to a liquid diet for six or so months—so a high liquid content and smooth consistency may make for an easier transition. It may also help to add breast milk or formula to reduce the viscosity and to help your baby warm up to the new flavor they are suddenly experiencing. 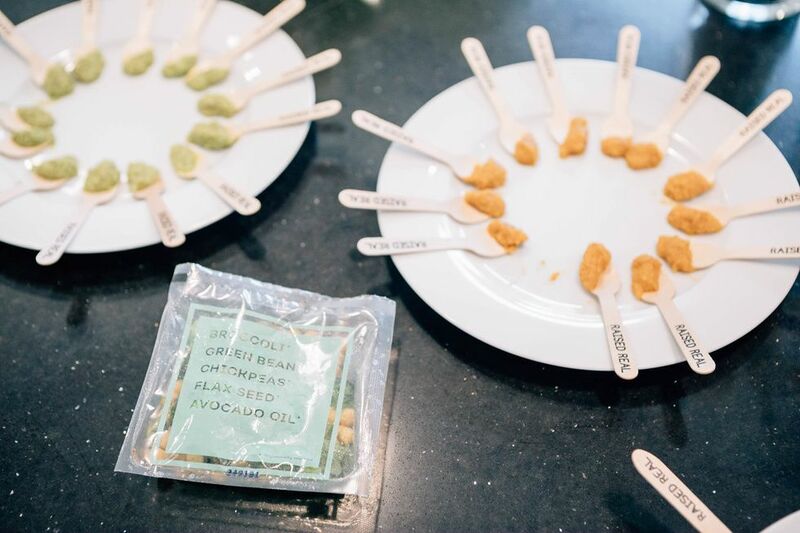 With Raised Real, you really are in control of this: By giving you the option of how to prepare the meal—pureed, mashed or served whole—you can tailor it to your baby's specific needs. By the time your baby's tongue thrust reflex has really receded—meaning they don't push everything out of their mouths—you can graduate to foods that require a bit more mashing work on their parts. This is a simple matter of hitting the pulse button on the blender rather than the puree button with Raised Real meals. All the while, you can be confident you are giving your baby nutritionally balanced meals. "As a dietitian I'm always interested in the quality of food that I feed my kids," says Ferraro. "I like that the Raised Real meals feature a variety of fruits, grains and vegetables, plus an added fat which is important for baby's brain development." If your baby tries to grab the spoon away and actively feed themselves, go on and give them a chance. With soft finger foods like steamed sweet potatoes, beets, zucchini and more, Raised Real meals are designed to be appropriate for baby to eat without any pureeing or mashing. As a bonus, research shows children who are introduced to spices at an early age go on to be more developed palates. That means the seasonings like tumeric and cardamom found in Raised Real meals do more than make for tasty dinners—they prime your child for a lifetime of adventurous eats. With directions on how to perfectly prepare meals no matter what serving method you (and your baby) adopt, Raised Real grows with both of you. This article was sponsored by Raised Real. Thank you for supporting the brands that support Motherly and mamas.